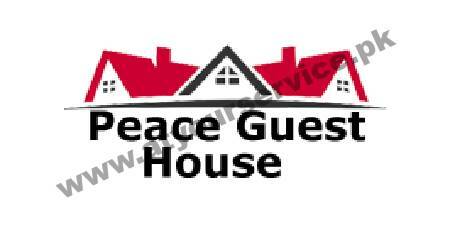 Peace Guest House Islamabad provides peaceful and comfortable accommodation away from home. We are located in the middle of the city in sector F 8/4, only 20 minute drive from Islamabad International Airport, 10 minute drive from the Diplomatic Enclave, 5 minute drive from Blue Area (a business hub of Islamabad), 10 minute drive from the famous Marriott Hotel, 15 minute walk to the Faisal Mosque and under the shadow of famous Centaurs Shopping Mall. We have seven comfortable rooms, a dining hall, space for car parking and a lush green garden. Above all these, the atmosphere is very friendly and homely. Iron, Iron Board & Hair Dryers available on request from the Reception Desk. For your next business trip or holiday tour to Islamabad with friends or family, please give us a chance to prove that we are the best in town. We Provide Peaceful and Comfortable accommodation away from Home.